Lifestyle connoisseur and 26-year old real estate mogul Emir Bahadir, today announced the launch of his BAHADIRING branded product lines with the introduction of Apot.Care Paris for BAHADIRING. In collaboration with internationally renowned cosmetics brand Apot.Care Paris, Emir has created an exclusive unisex skincare line inspired by his fast-paced jet-setting lifestyle. Launching today on Bahadiring.com/shop, Apot.Care Paris for Bahadiring debuts with the Jet Set collection, one-step sheet masks to help repair dull, tired, and dehydrated skin caused by long flights and busy work schedules. NEW YORK, NY – October 19, 2017 – Lifestyle connoisseur and 26-year old real estate mogul Emir Bahadir, today announced the launch of his BAHADIRING branded product lines with the introduction of Apot.Care Paris for BAHADIRING. In collaboration with internationally renowned cosmetics brand Apot.Care Paris, Emir has created an exclusive unisex skincare line inspired by his fast-paced jet-setting lifestyle. 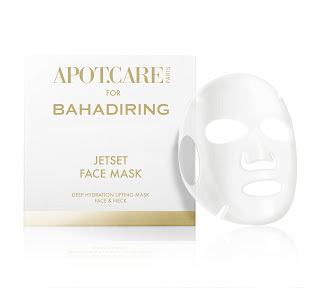 Launching today on Bahadiring.com/shop, Apot.Care Paris for Bahadiring debuts with the Jet Set collection, one-step sheet masks to help repair dull, tired, and dehydrated skin caused by long flights and busy work schedules. Having traveled the world and enjoying only its finest things, Emir has created his own category of luxury lifestyle by chronicling his jet-setting escapades using the popular hashtag #Bahadiring. Bahadiring has organically grown from a hashtag chronicling Emir’s posh escapades on Instagram into branded products inspired by his world travels. 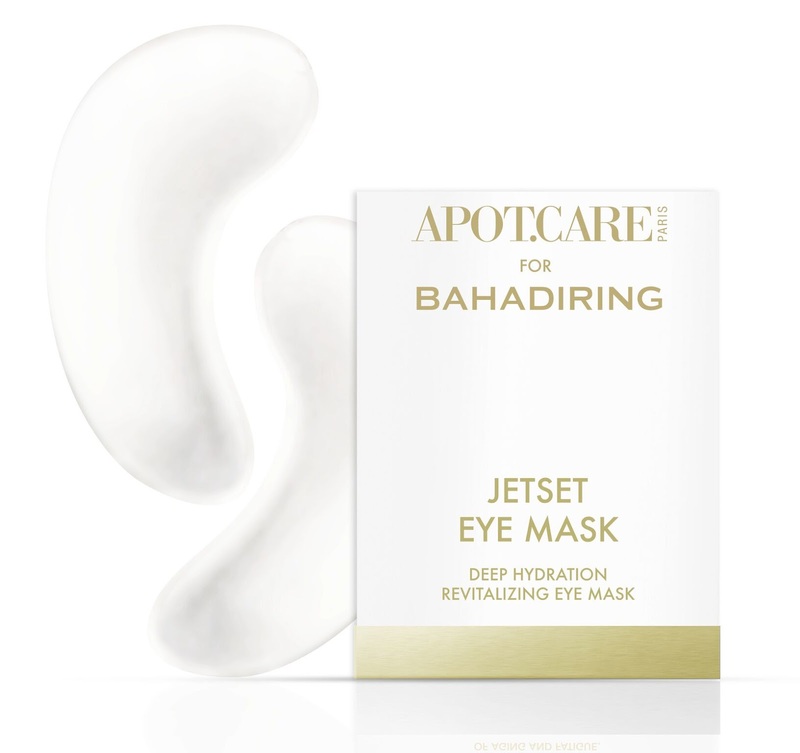 For people who are always on the go, but need to stay looking their best, Apot.Care Paris for BAHADIRING collagen Jet Set Face and Eye Masks are essential accessories for travel and daily use. The Jet Set Face Mask is a fast, effective face treatment that helps to deeply hydrate, lift and rejuvenate skin. The ultra-concentrated treatment mask, offers a plumping, spa-quality facial to transform the look and feel of skin in only 20 minutes. The Jet Set Eye Patches is an innovative eye treatment to deeply revitalize the eye contour in only 15 minutes. The unique Hydrogel Eye Mask forms an occlusive layer on the skin and enables the powerful blend of actives to make eyes appear hydrated and revitalized. Individual Jet Set Face Masks retail for $20 while the Jet Set Eye Patches retail for retail for $15 a set. The Apot.Care Paris for BAHADIRING Jet Set collection is currently available exclusively online at Bahadiring.com/shop. Emir Bahadir founded Bahadiring Realty as a brokerage and development firm, and further evolved the company to encompass his lifestyle, entertainment and commerce endeavours. In 2014, he orchestrated an alliance with his family's generations-old real estate company in Turkey, which affords Bahadiring Reality the opportunity to connect with investors in Europe and the Middle East to gain international exposure. With a following of 600,000+ on his verified Instagram account, @emirbahadir, Emir has created his own category of luxury lifestyle by chronicling his over-the-top jet-setting escapades using the popular hashtag #bahadiring. In the last year, it has organically grown from a hashtag chronicling his posh escapades on Instagram to a luxury fashion and cosmetics brand.